Download and install Pidgin desktop client from Pidgin . 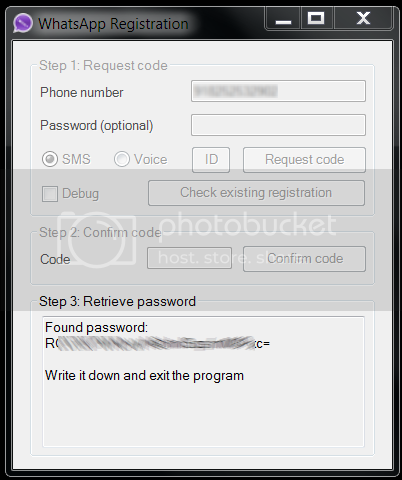 Then download WhatsApp Registration Tool (WART) from here . Open WART. Enter your 10 digit mobile number prefixed with your country code. For ex: 91XXXXXXXXXX (91 is country code for India). After that click on Request id. 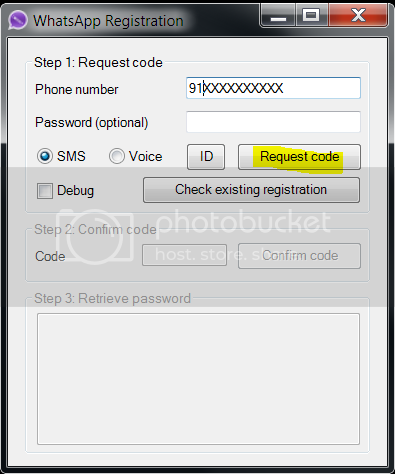 You will get a SMS with a code on your mobile number which you used in the last step. Enter that code in WART application and confirm. Then you will get a password associated with your mobile number. Copy and save this password somewhere temporarily and close WART. Now download Whatsapp plugin for pidgin from here . Paste this downloaded dll file in C:\Program File(x86)\Pidgin\plugins. Now open Pidgin and add your whatsapp account. 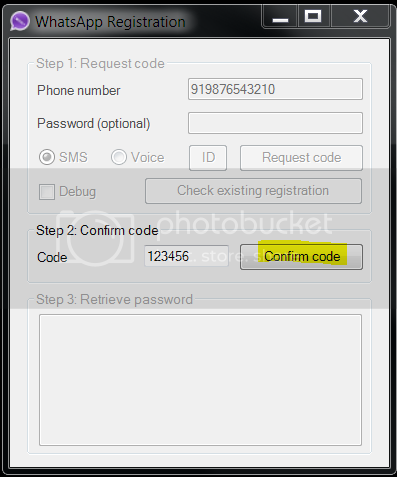 In username field, enter the mobile number as previuosly described prefixed with country code. In password field, paste the password you copied from WART application and check the Remember Password field. Confirm everything and press OK. Enjoy Whatsapp on your desktop :) . Whatsapp allows only one client for an account at any instant of time. So if you are using an account on desktop, you will not be able to use that account from Whatsapp on your phone. If you want to use that account from your phone, you will have to re-register from your phone on Whatsapp.